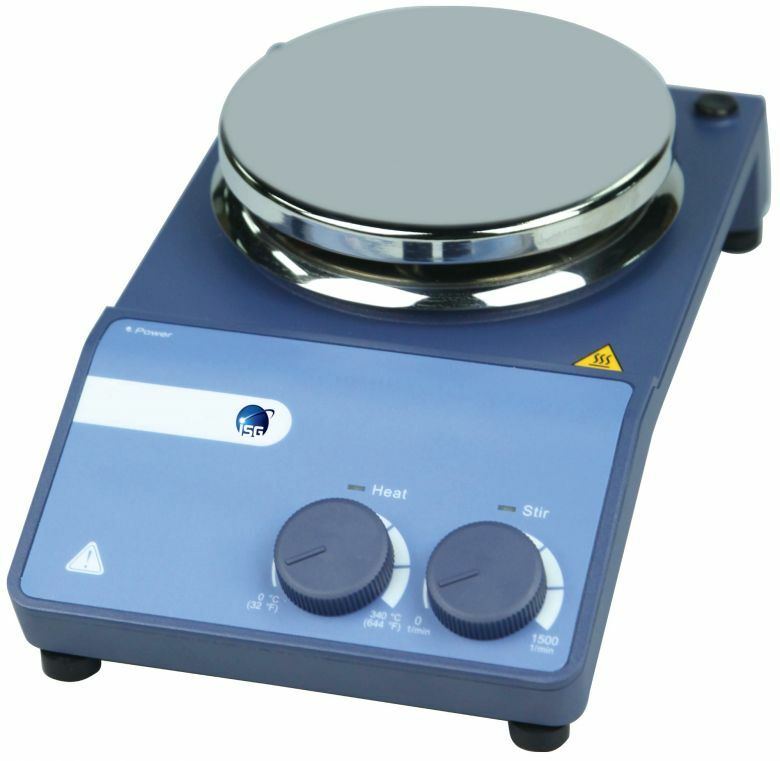 The ISG® Hotplate and Magnetic stirrer is made of stainless steel with a ceramic to coating resist corrosion. It also has a separated safety circuit which will automatically stop heating when temperature reaches 350 degrees. The variable speed motor is designed to stay at a constant speed even during change in load. High magnetic adhesion ensures that the stirrer bar stays stable at the bottom of the container. The ISG Hotplate Stirrer features an enclosed assembly with protection class IP42 and a DC brushless motor which guarantees long product life.